Carol Licko believes in educating her clients about their choices in litigation matters. After all, she was a teacher and administrator for the Miami-Dade County Public School System, earning the “Teacher of the Year” award before joining the Bar. Today, Licko focuses her practice on complex commercial and environmental litigation in trials through appeals, with an emphasis on the life sciences, business, health, and educational law. In the education sector, she represented the University of Miami Miller School of Medicine in issues relating to the costs of medical malpractice cases, and has served for several years as general counsel to WPBT-2, the largest PBS television station in Florida and the producer of the Nightly Business Report. She also serves as general counsel to the Miami-Dade College (MDC) Foundation, serving the nation’s largest community college. At UM, Licko took on two part-time jobs to help pay her college tuition. While working at the Sears store in the Northside Shopping Center, she met her husband Gary, who became a public accountant. She was also a nurse’s aide at St. Francis Hospital in Miami Beach, before graduating in 1971 with a degree in English. After passing the Bar in 1984, Licko joined Paul & Thomson, a boutique firm that broke up soon afterwards. 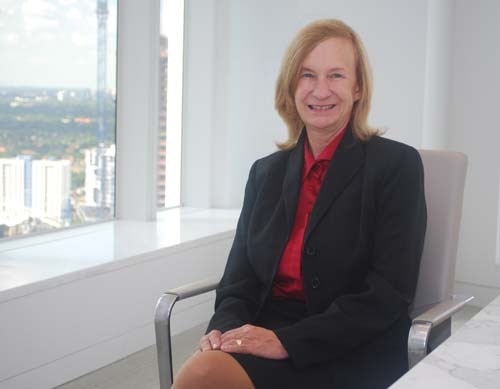 She followed partner Parker D. Thomson to Thomson Muraro Razook & Hart, , where she learned about securities offerings, media-related matters and other commercial litigation cases from mentors like Thomson, Dean Colson and Sanford Bohrer. Licko represented the governor in a variety of matters, including statewide healthcare and educational reform, before returning to private practice in 2001 with Hogan & Hartson. Several years later, she worked closely with Raquel “Rocky” Rodriguez on several life science projects. “Rocky is one of my favorite attorneys,” says Licko, who represented The Scripps Research Institute in incentive grant negotiations while Rodriguez represented the State of Florida. Licko also represented The Torrey Pines Institute for Molecular Studies and the University of Miami Genomics Center with respect to incentive grants from the state. Active in pro bono causes, Licko served two terms on the State Ethics Commission, and was a member of the Governor’s Blue Ribbon Task Force established to improve state foster care and health services for dependent children. In recent years, Licko has built a diverse litigation practice, while also handling complex transactional matters. She spent four years defending General Electric Capital Corp. in a series of suits filed in state, federal and bankruptcy courts brought by plaintiffs’ counsel representing nursing home residents who sued because a nursing home company had received loans from her client. “It took a long time, but we got a summary judgment in favor of GECC,” she says. Licko continues to handle matters for Scripps Florida, as well as The Jackson Laboratory and other life science clients. She also negotiated the sale of WPBT-2’s long-running “Nightly Business Report” to CNBC.